You are currently browsing the Archaeofacts.com archives of Musings for the day Wednesday, July 19th, 2006. There’s nothing like fresh spices for cooking. 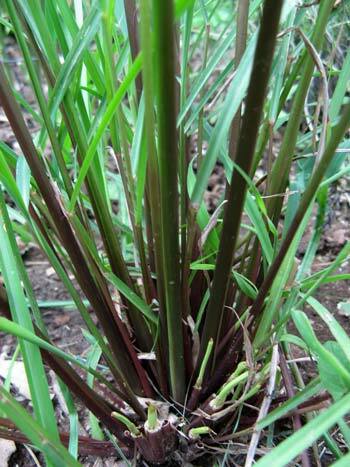 One I’ve never used, never found except in a semi-desiccated form, is lemon grass. Banjo B used it in the Thai food last night, and it’s a show-stopper. Now that we’re home, I need to schedule a trip to Hastings Garden Center to see if I can find a pot of lemon grass! Yes, dear Reader, we’ve completed the Great Loop to the Northlands, and we’re back in Big A-town, craving sushi (take out tonight! ), and getting the pile of mail dispersed (thankfully, much of it to the trash), putting away the travel gear, figuring out the first (fast) grocery list, and piling up the dirty laundry.